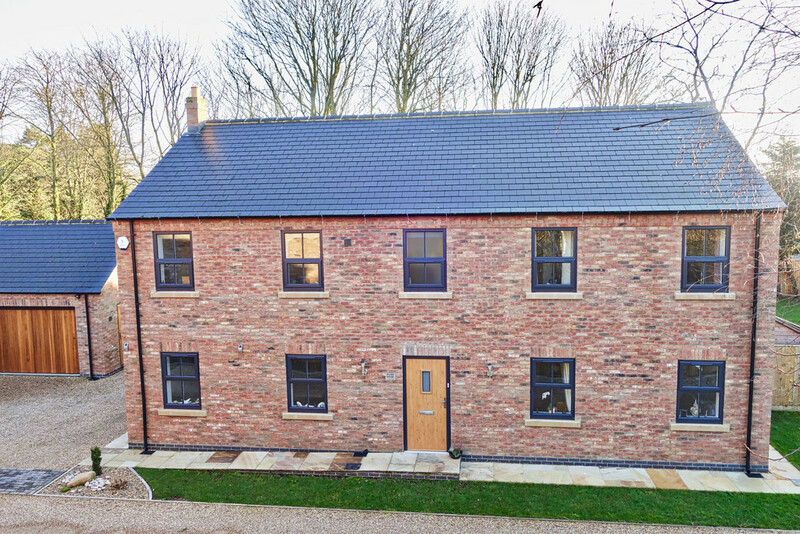 Built under two years ago and situated on a small exclusive development of just five properties on the edge of this popular village, this is a stunning detached family home offering over 3,000 SQ FT of well planned accommodation. 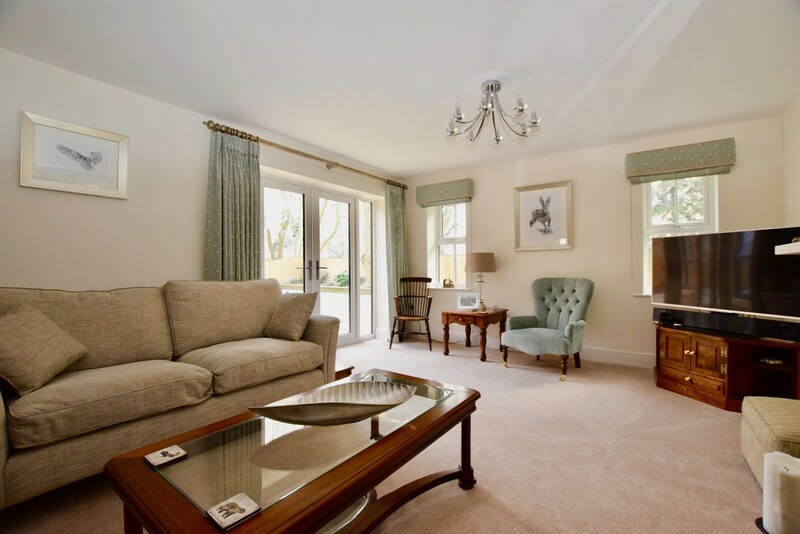 All of the main rooms have more than one window providing a light & airy feel throughout. 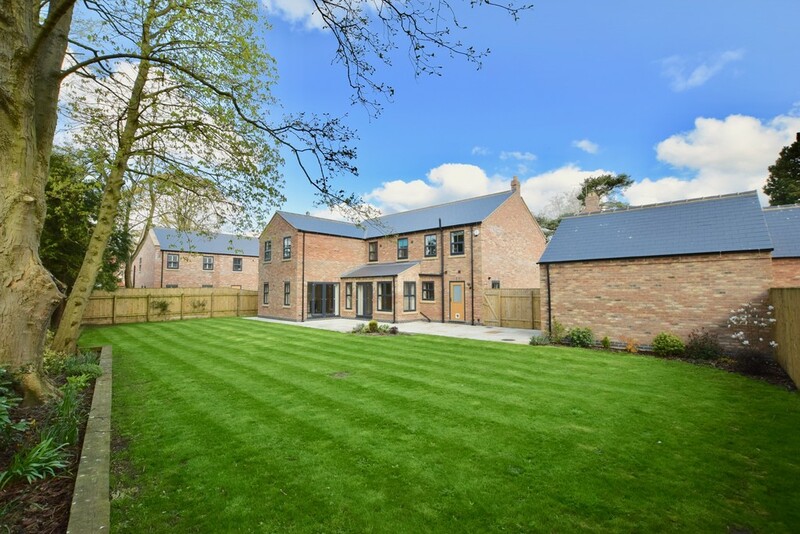 The 'hub' of the home is undoubtedly the open plan kitchen/ family room, however there are three further reception rooms providing space for all the family. All of the bedrooms are doubles. 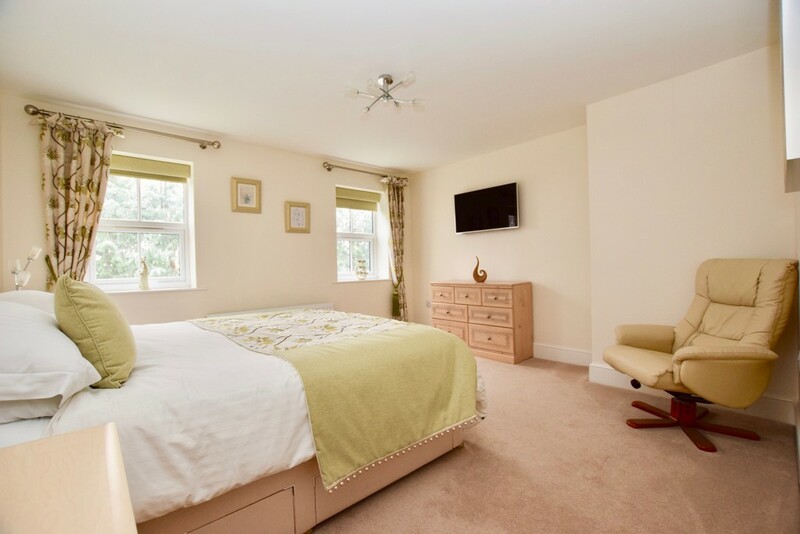 Three have en suite shower rooms and the master also benefits from a large dressing room with newly fitted furniture. 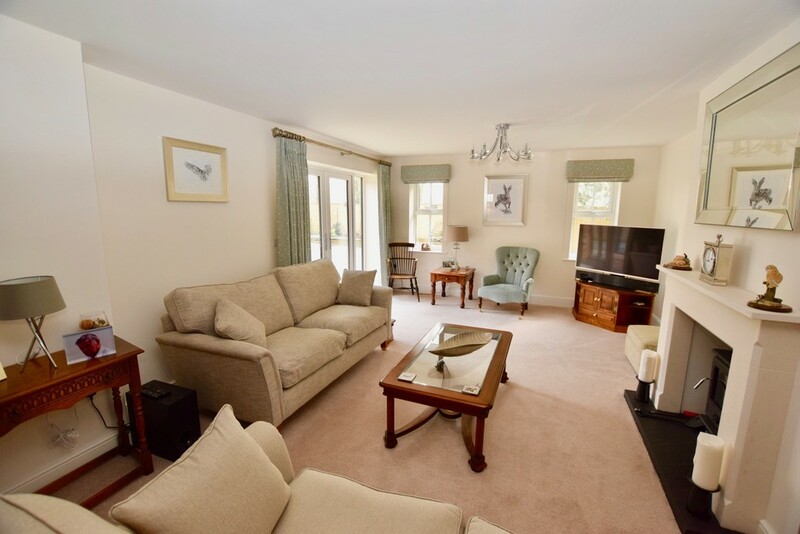 The rear garden enjoys a south facing aspect and there is a double garage to the side with plenty of driveway parking. 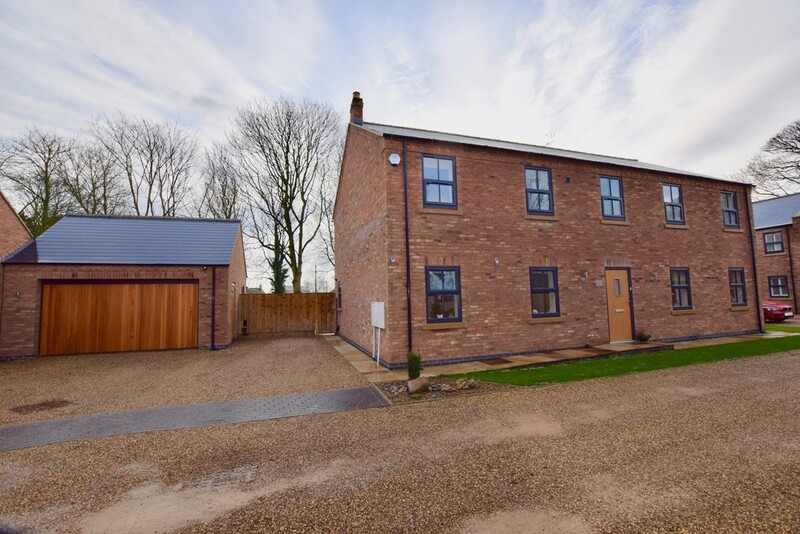 DESCRIPTION Built under two years ago and situated on a small exclusive development of just five properties on the edge of this popular village, this is a stunning detached family home offering over 3,000 SQ FT of well planned accommodation. 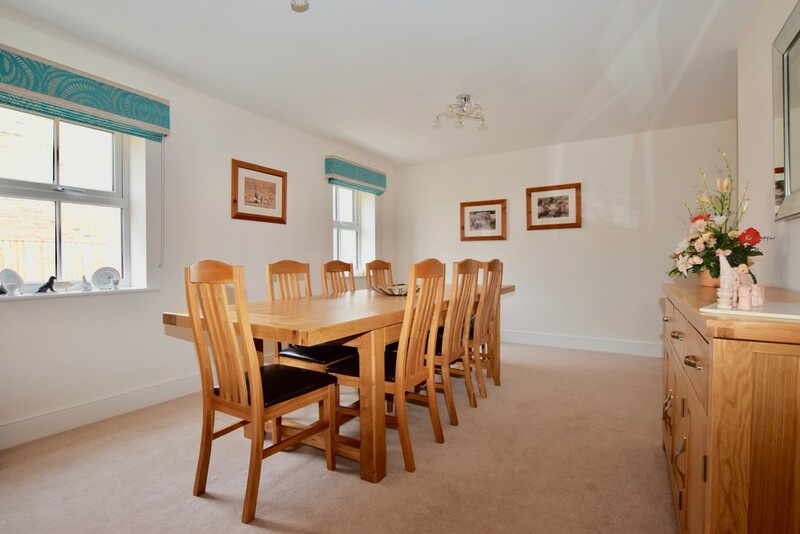 All of the main rooms have more than one window providing a light & airy feel throughout. 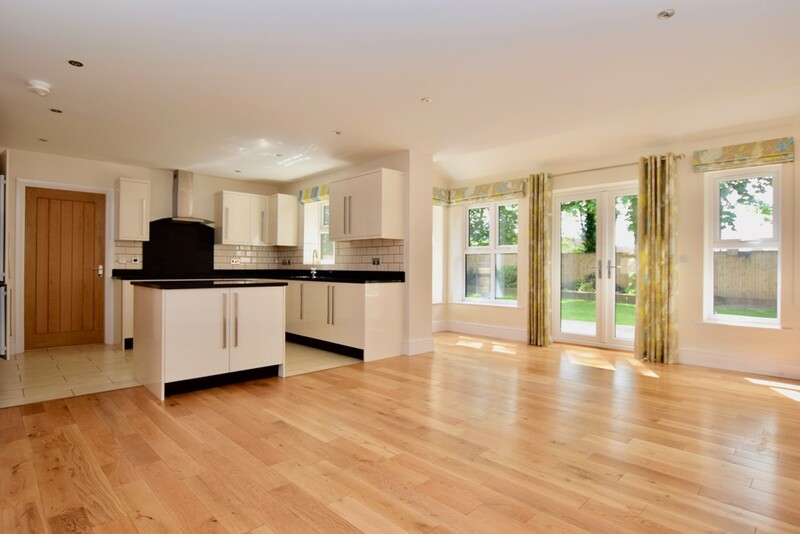 The 'hub' of the home is undoubtedly the open plan kitchen/ family room, however there are three further reception rooms providing space for all the family. All of the bedrooms are doubles. 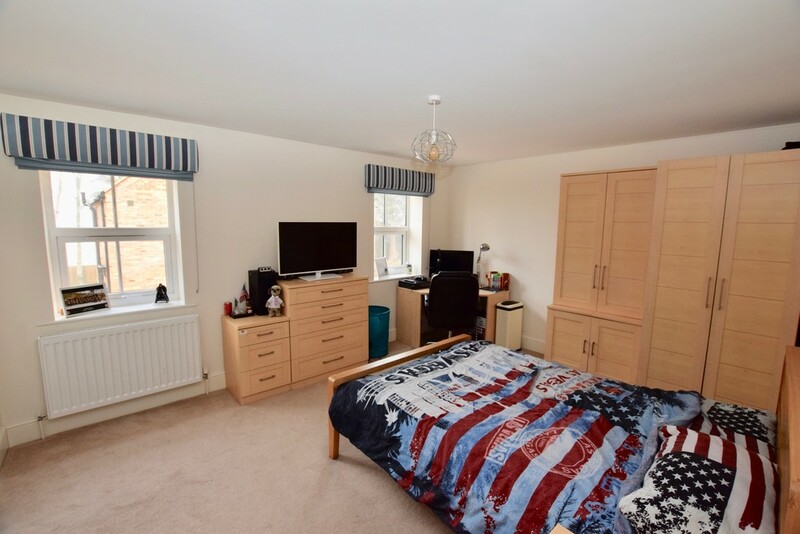 Three have en suite shower rooms and the master also benefits from a large dressing room with newly fitted furniture. 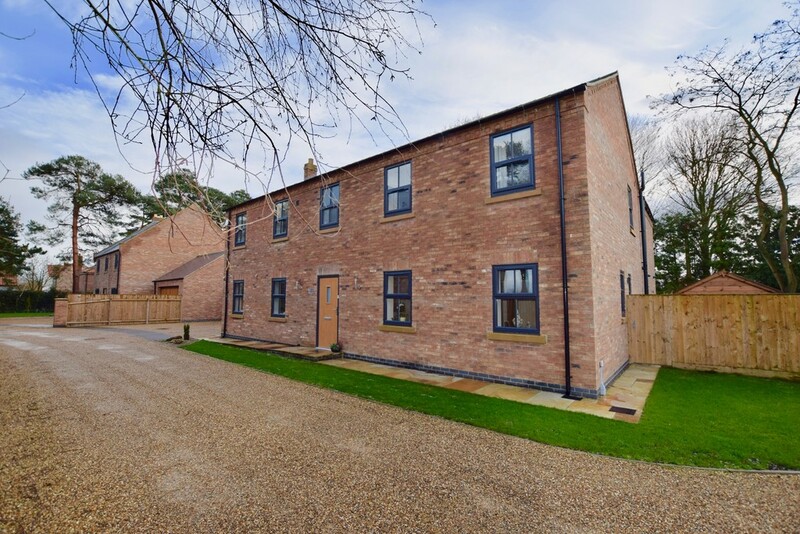 The rear garden enjoys a south facing aspect and there is a double garage to the side with plenty of driveway parking. 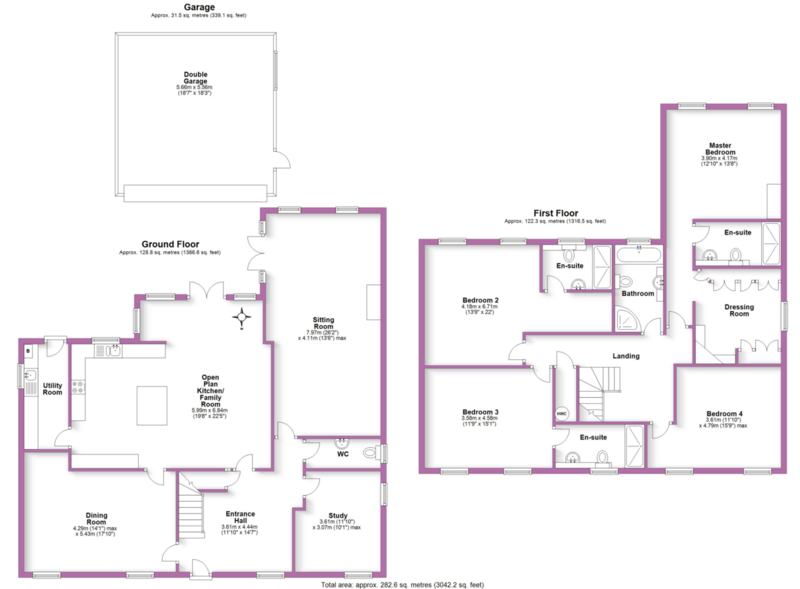 RECEPTION HALL 11' 10" x 14' 7" (3.61m x 4.44m) max Front aspect window, engineered oak flooring, recessed ceiling lights, under stairs storage cupboard. DOWNSTAIRS WC Side aspect window. 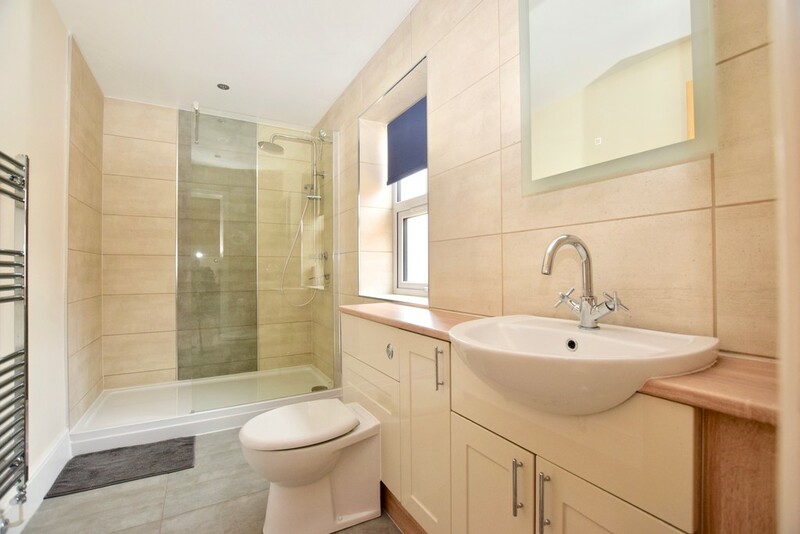 White suite having a vanity unit with mixer tap basin over and push button WC. Part tiled walls, extractor and engineered oak flooring. STUDY 11' 10" x 10' 1" (3.61m x 3.07m) Front & side aspect windows. 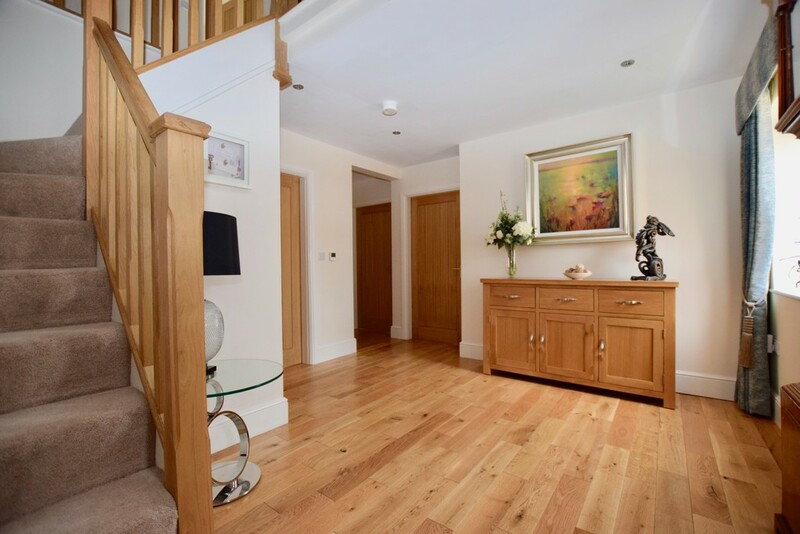 Engineered oak flooring. DINING ROOM 14' 1" x 17' 10" (4.29m x 5.44m) max Two front aspect windows. 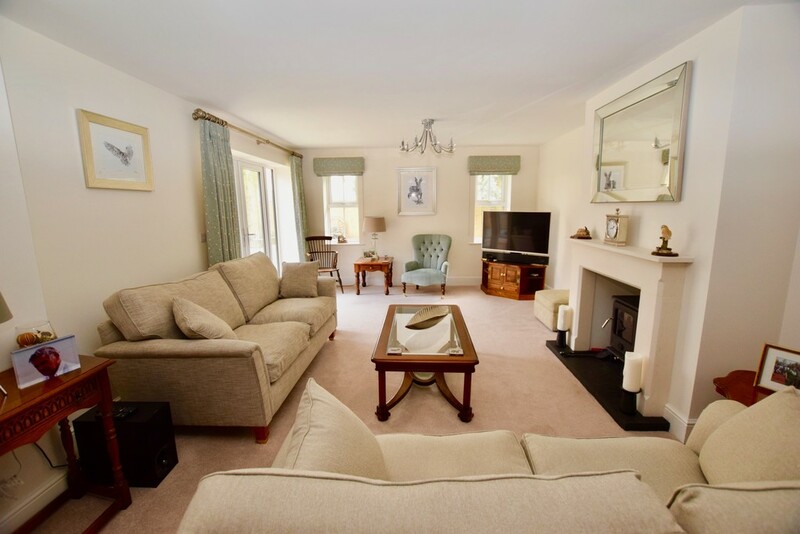 SITTING ROOM 26' 2" x 13' 6" (7.98m x 4.11m) Two rear aspect windows and French doors leading to the rear garden. Chimney breast with a Limestone mantle and a multi fuel stove set on a paved hearth. 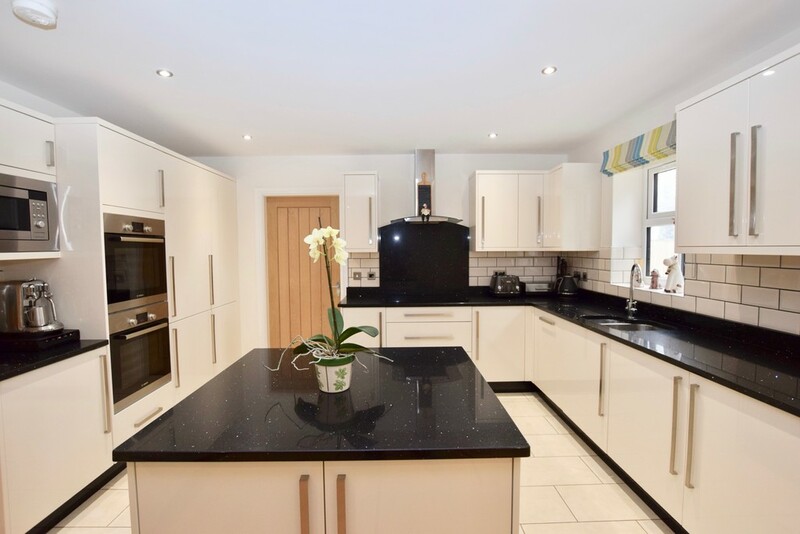 OPEN PLAN KITCHEN/ FAMILY ROOM 19' 8" x 22' 5" (5.99m x 6.83m) max Having a rear aspect window the extensively fitted kitchen area with ceramic tiled flooring has a one and a half bowl mixer tap sink unit with cupboards under. Further range of matching units and central island unit. Quartz work surfaces with tiled splash backs. 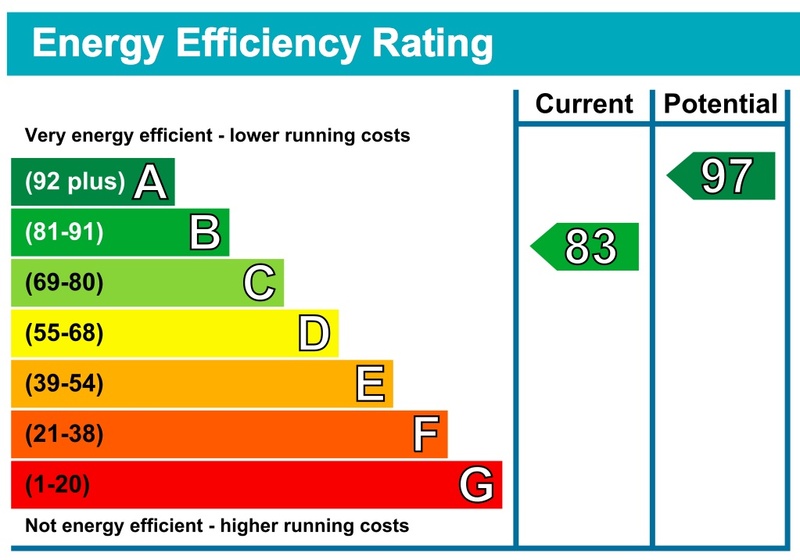 Integrated appliances (fridge/ freezer, microwave, double oven, four ring electric hob), glass & stainless steel extractor hood, recessed ceiling lights. 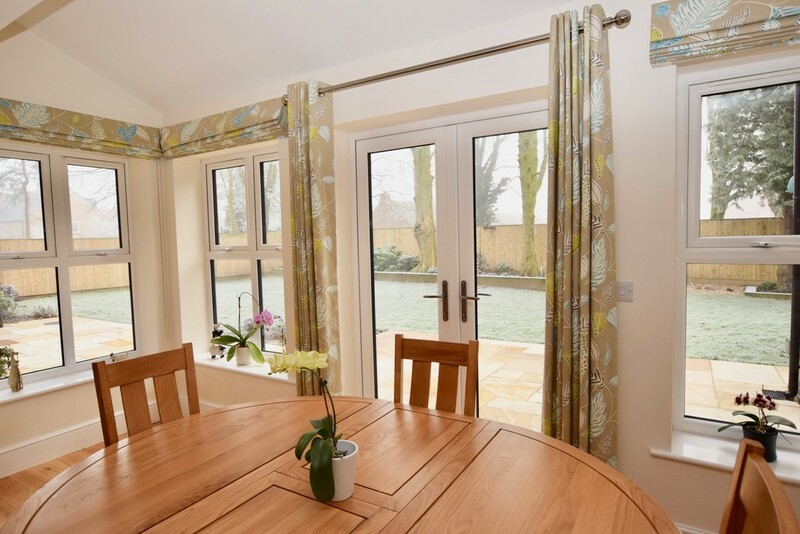 The family area has three rear aspect windows and French doors opening into the rear garden. 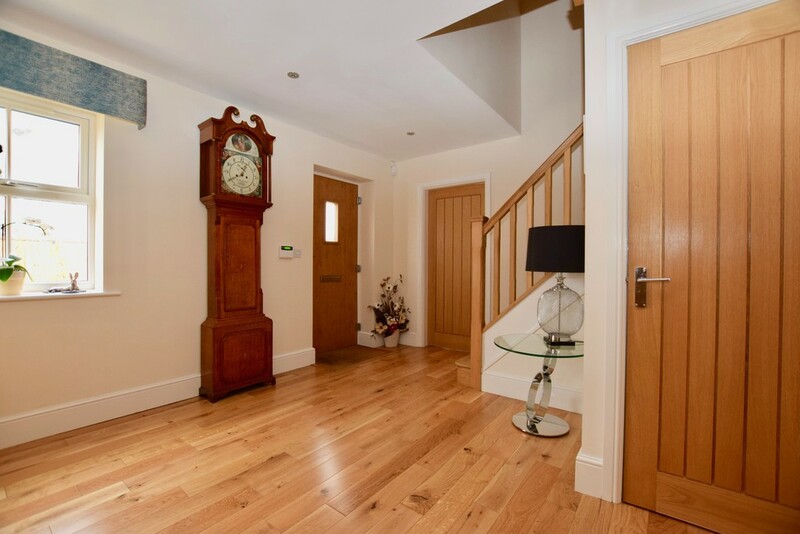 The flooring is engineered oak and the ceiling, which is part vaulted has recessed lights. UTILITY ROOM Side aspect window and door leading into the rear garden. Having a single drainer mixer tap sink with cupboards under. Work surfaces with tiled splash backs. Plumbing for washing machine, tiled floor, recessed ceiling lights, extractor and wall mounted gas fired boiler. LANDING Access to the loft space, radiator, recessed ceiling lights and walk in airing cupboard. MASTER BEDROOM 12' 10" x 13' 8" (3.91m x 4.17m) Two rear aspect windows and a radiator. DRESSING ROOM Side aspect window, radiator. 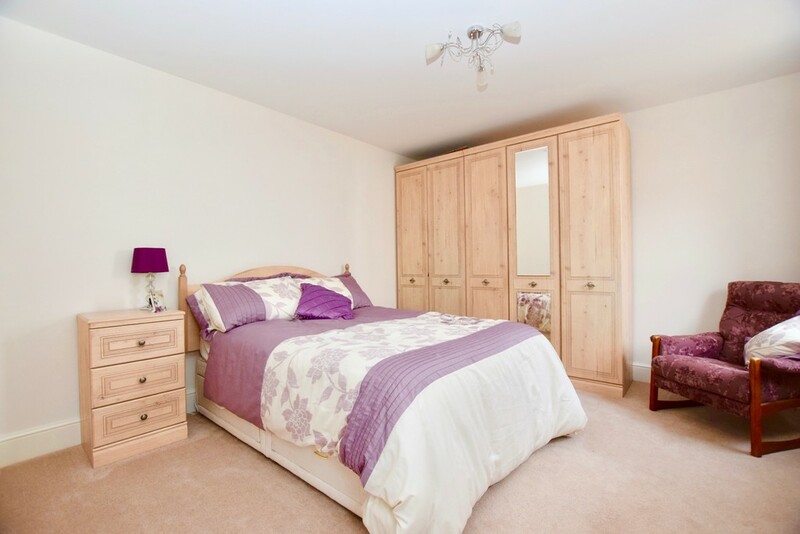 Recently fitted with an extensive range of Hammonds bedroom furniture to include wardrobes, dressing table and drawers. 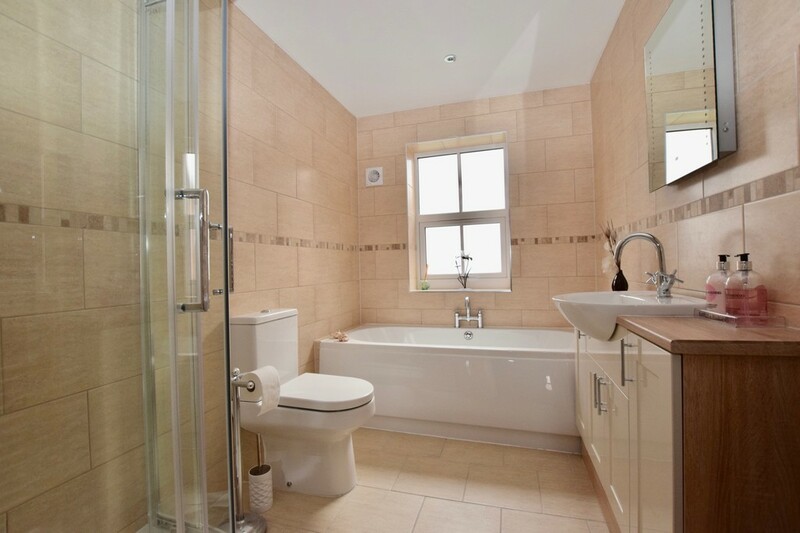 EN SUITE White suite having a large walk in shower with rainfall shower head and hand held attachment, vanity unit with mixer tap basin & a push button WC. Fitted units, part tiled walls, tiled floor, ladder style radiator, extractor and recessed ceiling lights. Illuminated and heated mirror with bluetooth speaker. EN SUITE Rear aspect window. White suite having a large walk in shower with rainfall shower head and hand held attachment, vanity unit with mixer tap basin & a push button WC. Fitted units, part tiled walls, tiled floor, ladder style radiator, extractor and recessed ceiling lights. Illuminated and heated mirror with bluetooth speaker. EN SUITE Front aspect window. White suite having a large walk in shower with rainfall shower head and hand held attachment, vanity unit with mixer tap basin & a push button WC. Fitted units, part tiled walls, tiled floor, ladder style radiator, extractor and recessed ceiling lights. Illuminated and heated mirror. BEDROOM FOUR 11' 10" x 15' 9" (3.61m x 4.8m) max A slightly L shaped room with two front aspect windows and radiator. FAMILY BATHROOM Rear aspect window. White suite having a central mixer tap bath, large corner shower cubicle with rainfall shower head and hand held attachment, push button WC and vanity unit with mixer tap basin. 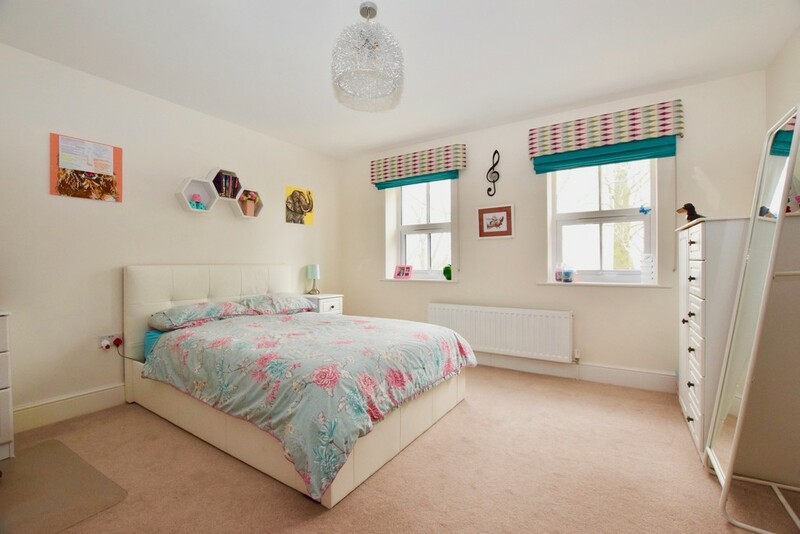 Fully tiled walls & floor, ladder style radiator, extractor and recessed ceiling lights. Illuminated mirror. OUTSIDE To the side of the property is a double garage and triple width gravel driveway. There is gated side access leading to the rear garden. The south facing rear garden is enclosed to all sides. There is a large paved patio area and the lawn has raised shrub borders. There is outside power, lights and a tap. The garden extends along one side of the property where there is a garden shed and gated access to the front. GARAGE 18' 7" x 18' 3" (5.66m x 5.56m) With an electric up & over door, side courtesy door, light, power, eaves storage and window to the rear.